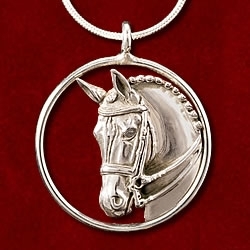 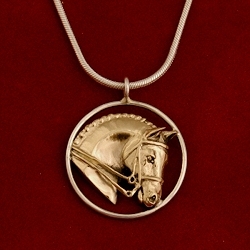 this Dressage sterling silver horse head pendant measures 7/8″ x 7/8″ and is the perfect in between size for everyone to wear. 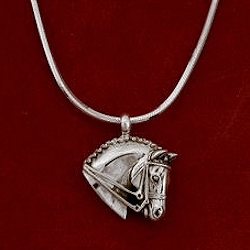 It comes on a 16″, 18″, or 20″ sterling silver snake chain with lobster clasp. 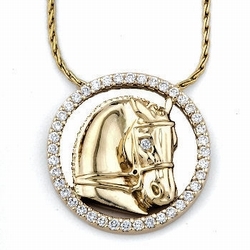 Also available with a bead chain as 8000MEDB.